A Neodymium magnet (also known as NdFeB) is the type of permanent magnet most widely used in various industrial and household products due to its (1) large magnetic strength, (2) high resistance to demagnetization, and (3) relatively cheap price. Though it is discovered in 1984, later than most of other types of permanent magnets, neodymium magnet is replacing alnico and ceramic magnets in many applications. Neodymium is a rare earth metal and neodymium magnet is an alloy composed of neodymium, iron and boron atoms that are organized in a micro crystalline structure with a chemical formula of Nd2Fe14B. Because of the low temperature (-254.2/-425.5 ºC/ºF) at which the ferromagnetism of neodymium metal disappears (or called Curie temperature), a certain amount of iron is present in neodymium magnet in order to increase the Curie temperature well above room temperature. During manufacturing and under an external magnetic field, the spin of 4 unpaired electrons in neodymium atoms (compared 3 in iron) can align along the same direction giving rise to a strong magnet with a magnetic energy 18 times larger than traditional ferrite magnets. The difficulty of its reorientation of magnetization leads to a high level of resistance to being demagnetized. The boron atoms in neodymium magnets do not contribute directly to the magnetism, but improve cohesion by strong covalent bonding. The relatively low content of rare earth (12% by volume) in neodymium magnets lower their price compared with other rare earth magnets like samarium-cobalt magnets. Our company (CMS & Magnets For Sale) is among leading magnetic product suppliers carrying a wide variety (size, shape, grade, assembly) of high-quality neodymium magnetic products. They are protected by triple layers of nickel-copper-nickel. Depending on the strength of the demagnetizing field, the magnetic flux of the Neodymium magnet may remain the same or loss partially, and this process can be reversible or irreversible. When the demagnetizing field exceeds a critical value, the magnet's coercivity, the Neodymium magnet will be demagnetized and re-magnetized depending on the magnetic direction of the external field. when temperature is raised, thermal (random) motion exerts more force to re-orientate the initially aligned (domain atoms) spins causing demagnetization of the Neo magnet. This demagnetization can be permanently or temporary depending on the level of the elevated temperature. The ability of an neodymium magnet to resist demagnetization by increasing temperature is measured by two parameters, the magnet's maximum operating temperature (MaxOpTemp) and Curie temperature as shown by the table below for different grades of Neodymium magnets. For a standard N grade of Neodymium magnets, their magnetic flux will permanently loss a fraction of the strength at their maximum operating temperature and loss all of their magnetic strength at their Curie temperature. For example, most Neodymium magnets start to loss their magnetization above 80/176 ºC/ºF. Special grades of Neodymium magnets with a higher Curie temperature (up to 220/428 ºC/ºF) have been developed to work at a high temperature such as in windmills, hybrid motors, etc. Thus, in choosing neodymium magnets it is imperative to consider which grade of Neodymium magnets is best suited to your needs in terms of the operating temperature setting. where the two digit numeric value in the unit of MGOe indicates the strength of the magnet (the higher the number the stronger the magnet) and the last one or two letters indicates the temperature sensitivity as described in the table below. ecently certain grades of Neodymium magnets have been made that exhibit higher resistance to oxidation. Corrosion can be at least partly prevented by applying a suitable coating or plating. Neodymium Magnets can be coated by many different materials including nickel, copper, zinc, tin, epoxy, silver and gold, though nickel is the most commonly used one and a multi-layer coating method (e.g. nickel-copper-nickel) is also usually applied to make the product more resistant to corrosion. The performance of a coating or plating could be evaluated with a Salt Spray/Salt Fog Test (SST) and this is executed in accordance with ASTM B117. 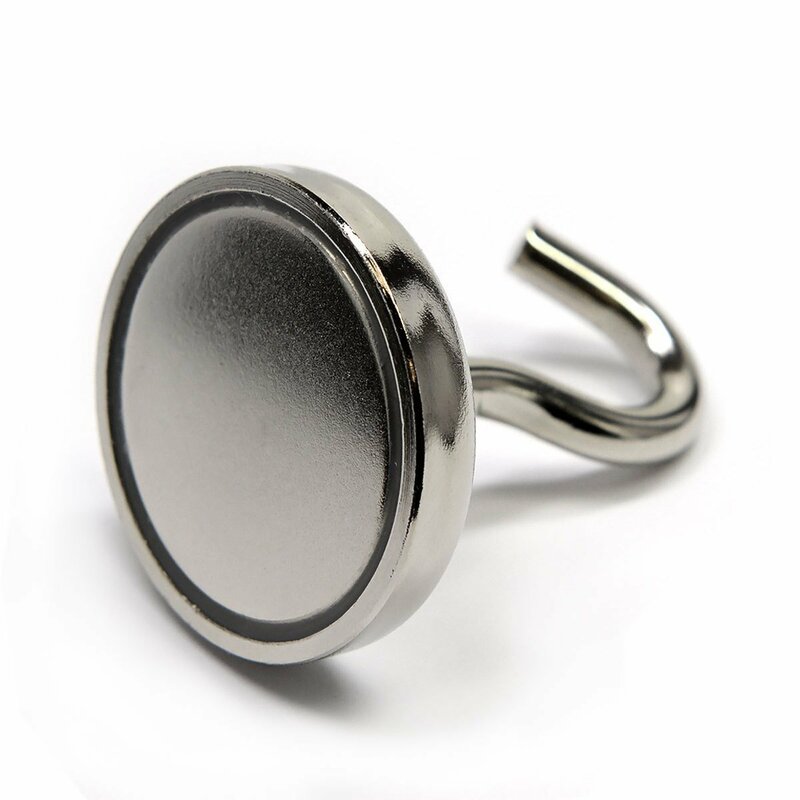 Neodymium magnets are made of powered porous metal and thereby inherently bristle and prone to chipping and breaking when handled inappropriately. Neodymium magnets are also very strong magnets. Thus appropriate handling and packing are required to ensure safety and prevent damage. It is advised not to (1) machine the magnets, which could also generate heat and demagnetizing the magnets, (2) put magnets in conditions of mechanical stress e.g. in load bearing situations, and (3) place any body part (e.g. hand) between attracting magnets or between a magnet and a ferrous metal. Neodymium powder is very fine and when dry can ignite spontaneously. Thus, care must be taken in handling neodymium powder. Neodymium is right now responsible for most of the growth in rare earth demand with the Neodymium magnetic market worth $11 billion in 2017 according to market research group IMARC. With rapid development of electric vehicles and other renewable energy applications in the next couple of decades, this demand for Neodymium magnets will suely surge (e.g. Tesla has recently used motors with Neodymium magnets in its Tesla Model 3). Because of the strong and/or homogenous magnetic field Neodymium magnets can generate, they have found new applications in some medical fields such as magnetic resonance imaging and magnetic therapy. Neodymium magnets are also used as a surgically implanted anti-reflux system (GERD) around the lower esophageal sphincter to treat GERD disease. The N52 grade of Neodymium magnets is an emerging market, and with the very strong magnetic force, it has been finding new applications that require small-sized and/or light-weighted magnets (e.g. sensors for medical diagnosis). Our company offers a huge selection of shapes and sizes of N52 Neodymium magnets and the list is growing! 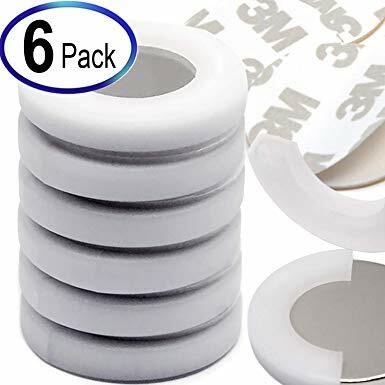 More recently, the strongest neodymium magnets, N55 magnets, are developed for commercial uses, which are ideal for fine and delicate work where small size really matters. Neodymium magnets having many combinations of partial alloying substitutions for Nd and Fe are being invented, leading to a wide range of available properties and opening up new application avenues. Magnetic Gold Tester with Removable Cover and Keyring - 2 Ct. Ceramic Magnets Ferrite Magnets C8 4"X3"X1/4"